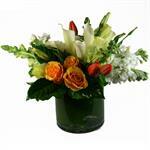 A variety of orange and green tropical flowers in a unique and modern design. 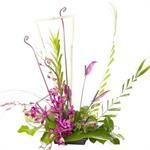 Call for tropical availability. 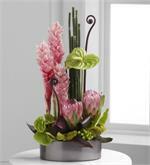 Pink and green tropical flowers in a modern design. 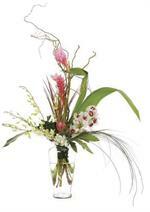 Call for tropical availability and styles. 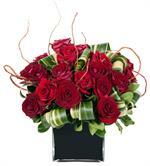 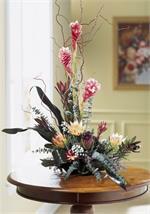 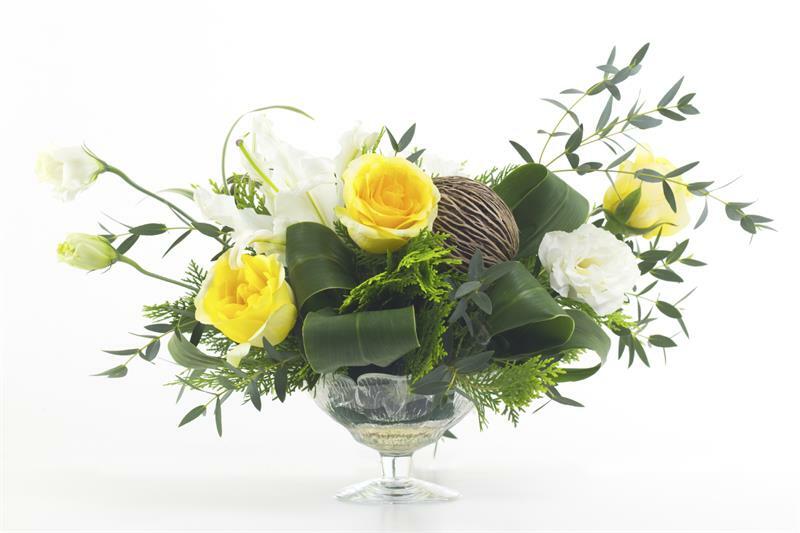 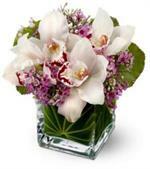 Protea and monstera leaves in small cube perfect for office or event centerpieces. 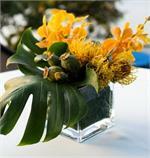 Call for tropical availability. 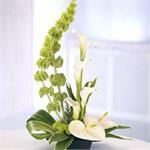 Anthurium and white and green tropical flowers within a modern design. 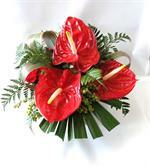 Anthurium upon availability.